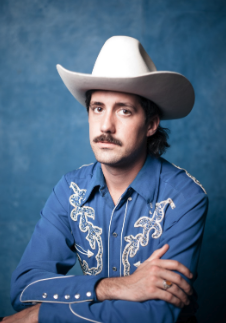 Dylan Earl is a post-country/countrypolitan/twang-core songwriter from Lake Charles, Louisiana currently based out of Fayetteville, Arkansas. His second full-length pedal steel drenched LP is scheduled for this spring on his own independent label, Fabulon Records. Dylan has shared stages with the likes of Tanya Tucker, Wanda Jackson, Jesse Dayton, Jamie Wyatt, Jason Boland and the Stragglers, American Aquarium, Daniel Romano, Magnolia Electric Co., Hiss Golden Messanger, and The Mallett Brothers to name a few. He has also embarked on numerous headlining tours of his own. Now’s your chance to see him perform on the Button Factory Stage at WSCA Radio. Only $10 for advance tickets.